Make sure that the first thing that your little one sees in the morning when they open their eyes and the last thing that they see before they fall asleep is something that makes them feel secure, safe and loved; whether it’s an artwork that they adore or a happy picture of the family. If your child has a hard time sleeping, however, it’s best to avoid artwork with active imagery, like crashing waves or aeroplanes flying in the sky. The position of a bed is one of the most important factors in achieving good feng shui within a bedroom. Your child should be able to see the door (although not be placed right in front of it), when lying in their bed, with their headboard placed against the furthest wall. In this way they can always see who is coming in and out are not in a position where they can be easily surprised; this can help your child with any sleep troubles as it puts them in command of their room. Feng shui also teaches that nothing should be stored underneath your child’s bed, clutter underneath your child’s bed can prevent them from sleeping through the night. If you have to have storage underneath your little one’s bed, make sure that it consists of soft toys, scatters, blankets or any cuddly sleep-related items. Keep in mind that the pathway from the door to the window has the strongest flow of energy, always try to avoid placing your child’s bed within this path. As you walk into your little one’s room, the corner to your left should ideally be their learning or studying area; books, educational toys and a desk can go here. The right side of a room should then be their creative area; here you can put a cute teepee or canopy to play in and set up a nice little nook area for your child to draw, play music and hang their artwork from school. Choosing the right colours for your child’s bedroom that matches their personal taste and personality is one of the most important aspects of achieving good feng shui. It’s common feng shui practice to try and avoid painting walls in bright colours such as red which is a colour that can excite and easily tire out children or disrupt their sleeping patterns. Green is one of the most overlooked and underused colours to use in children’s rooms; soft and light greens are soothing and calming to children and are related to the element of wood and suggests the growth and flourishing of young plants. 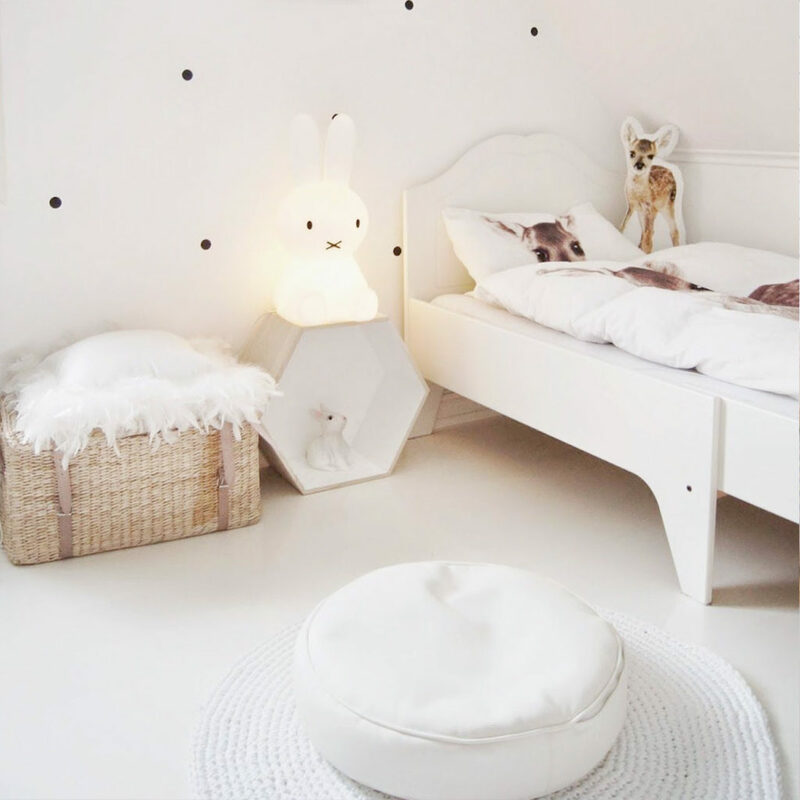 Make sure that your child’s room enlightens their sensory experiences by filling it with everything that they love: cuddly toys in a belly basket, a fuzzy washable rug beneath their feet, a warm night light next to their bed and calming aromatherapy oils in the air such as lavender or chamomile just before bedtime. 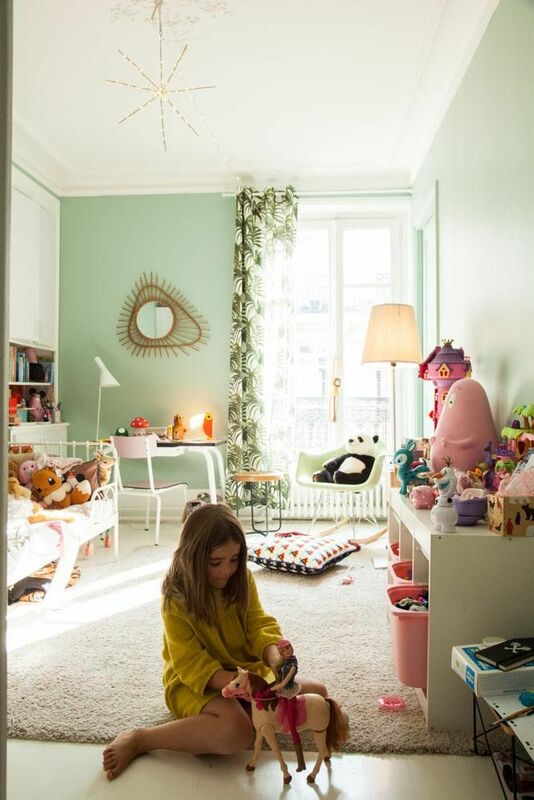 Have you used feng shui principles in your child’s room? Let us know in the comments below.